London, 1784. A stinking metropolis. One freezing April morning, a veiled woman steps off the boat from Holland. She is a former French aristocrat, on the run and in fear for her life. But she is far from helpless. With the deceitful ease with which she has played so many roles before, she assumes an alias befitting one who is hunted: she becomes the alluring Mrs Fox. It takes Mrs Fox little time to insinuate herself into London society. Immoral and beautiful, she has always manipulated others for her own gain or amusement and begins to revel in this pastime once more. It is only when she encounters the degenerate predator Earl Much that she discovers an adversary whose sadistic viciousness is a match for her own. In a dark, quick world of liars and lechers, where infidelity and intellect cross swords with desire and death, the two begin a deadly game. 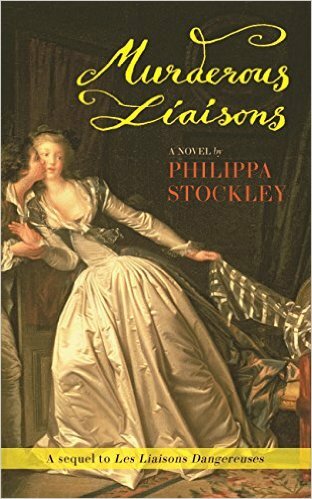 Murderous Liaisons is a sequel to the classic Les Liaisons dangereuses.